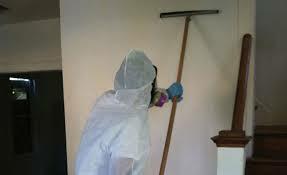 Blue Water Cleaning and Restoration has served the Blue Water Area since 1983. WHAT CAN METHAMPHETAMINE DO TO YOU? Seek medical attention immediately if you experience any adverse effects linked to hazardous substance exposure. Mixing chemicals in clandestine meth labs create substantial risk of explosions, fires, chemical burns, and toxic fume inhalation. Those who mix the chemicals, emergency responders, hazardous material clean up crews, neighbors, and future property occupants are all at risk. 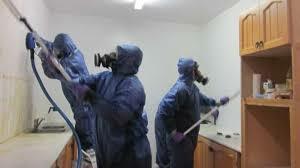 The process of "cooking meth" causes pervasive pollution of the immediate environment, including the carpet, walls, furniture, curtains, air ducts and even the air itself. This residual contamination can last for years due to the types of chemicals used to produce the drugs and the waste that is generated. 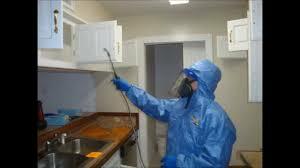 Children are commonly exposed to the hazards of meth labs. Young children frequently put their hands in their mouths, they have higher metabolic and respiratory rates than an adult, and have developing central nervous systems...all leaving them vulnerable. Finally, there is the question of a more permanent clean up (or remediation) of the site to eliminate the long-term hazards posed by residual chemicals.